What are your favorite Christmas movies? With three boys at home we love Elf and Home Alone. I wouldn’t call them Christmas movies, but Littlest is really getting in Harry Potter this year so I’m sure we’ll be watching those around the holidays. One movie that I love watching around Christmas is Little Women. I actually fell in love with the movie years before I read the book. The version I always watch is the one with Winona Ryder, Susan Sarandon, Kirsten Dunst, Claire Danes, Gabriel Byrne, and Christian Bale. A few years ago my sister and I had a book club and over the holidays we read Little Women. We also watched the movie and live tweeted, which may have been one of the most fun things we ever did. My sisters and I quote this movie a lot. If you ever hear me saying ‘blast,’ blame Little Women. Plus we love Christian Bale. One thing that they do in the movie, that they don’t in the book, is sing a little song as they deliver their Christmas breakfast. That song? Here we come a-wassailing. I don’t remember hearing that song prior to the first time I watched Little Women. But now it often gets stuck in my head at Christmas. Apparently, carolers would exchange songs for a drink from the wassail bowl. 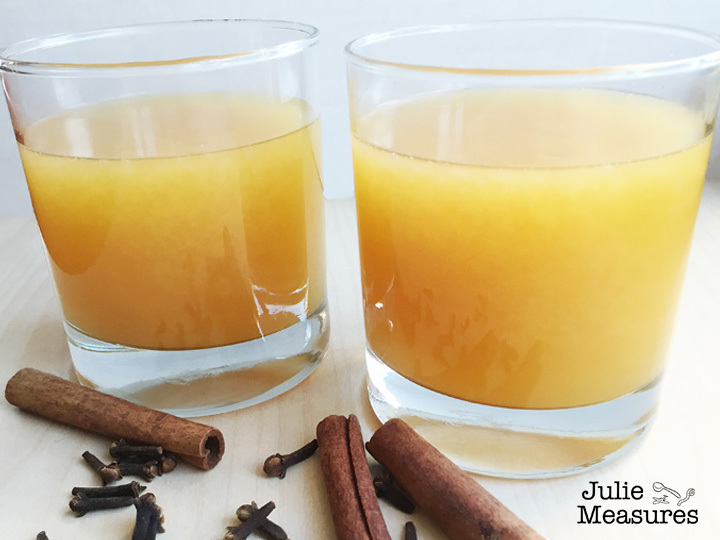 The wassail bowl being a combination of hot ale, apples, and spices. The drink would warm up the carolers and let them continue on their way. 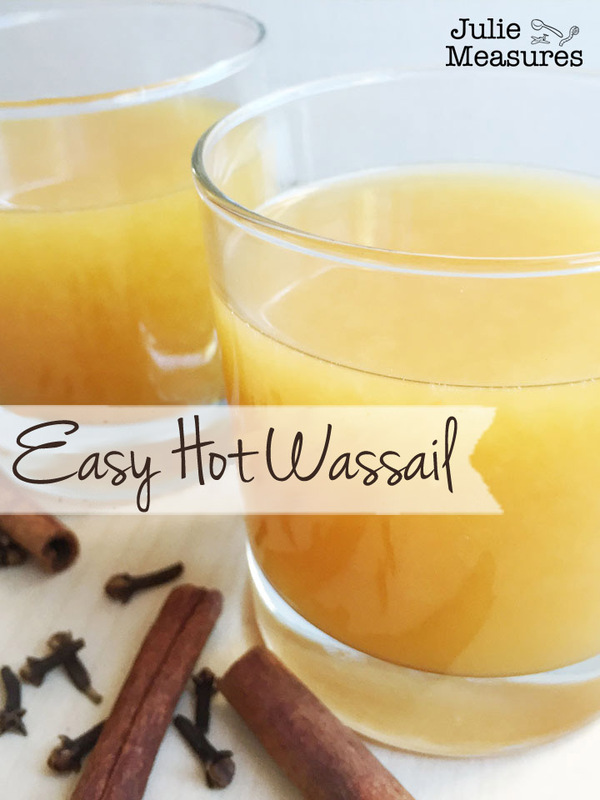 My easy hot wassail is a more family friendly version. But still delicious and perfect to serve for Christmas or watching Little Women. Combine all ingredients in a large pot on the stove. Bring to a simmer over medium-low heat. Reduce heat to low and simmer for 1 hour. 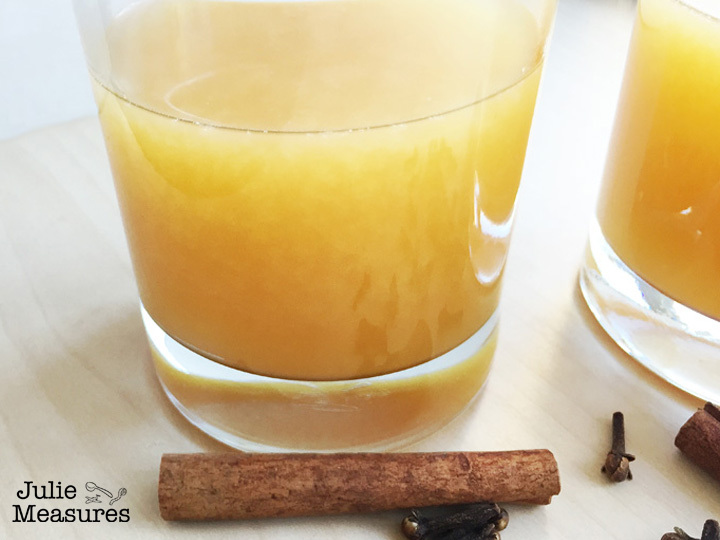 If desired, strain wassail through a fine mesh sieve before serving. Ladle wassail into cups and enjoy. Recipe can easily be doubled, tripled, or more depending on the size of your group. And God send you a Happy New Year. Interesting recipe. Thanks for sharing. I can’t wait to try it. 😀 Pinning! I haven’t seen that version of Little Women, but love the book. Thanks for sharing on the Creative K. Kids Tasty Tuesdays Linky Party. We hope you will join us next week. Perfect for the holidays, and I love Little Women, too! Now I’m going to have to rewatch it and make this! Thanks for bringing this by to our Throwback Thursday Link Party – I’ll be pinning this to our board, too, and Happy New Year! I came across your post via Pinterest. Little Women with Winona Ryder is my fav!!! I make wassail once a year. One difference is I bring the spices to a boil first in two cups of cider and simmer 10 minutes before adding the rest of the ingredients so the loose spices get heavy and stay on the bottom. Thanks for the recipe!